Are you wondering what you can do to help your children now? 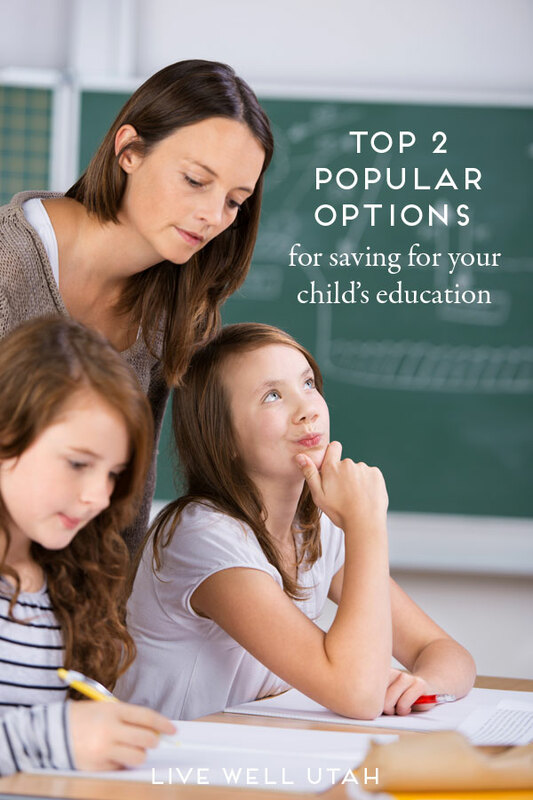 We’ve put together two Popular Options for Saving for Your Child’s Education. The first thing families should do is decide where educational savings fits into their overall financial goals. Buying a home, preparing for retirement and providing an education for the children tend to be the three most costly family objectives. Few families have the means to tackle all three at the same time. It’s been said that you can’t get a scholarship for retirement. There are more options to cover the costs of higher education (scholarships among them) beyond having the savings entirely on hand. Given that, I suggest a retirement strategy be in place before establishing a means for college savings. Here are two currently popular options: a 529 plan and the use of a Roth IRA. A 529 plan is named after section 529 of the Internal Revenue Code, the provisions of which allowed for their creation in 1996, and each state has at least one. In our state, it is the Utah Educational Savings Plan (UESP) and it is consistently rated among the very best in the nation. A 529 savings account is initially set up for a named beneficiary, however, the recipient can be changed to another family member, with a wide range of people who can be named, including a first cousin. The donor to the account is in full control of the assets. Beneficiaries can attend qualified schools throughout the nation, not just in the state where the plan is held. This includes most community colleges, universities and even some vocational schools. The fees and other maintenance costs associated with 529 plans are generally lower than with other investments. This is especially true for direct purchase plans like UESP. These are self-directed plans. Among the UESP options are an FDIC insured account and a range of investment accounts that adjust with the beneficiary’s age. They automatically shift from aggressive investments to more conservative choices as the child draws nearer to college age. Contributions to a UESP plan (and other state 529 plans) are not tax deductible, but all earnings from investments in the plan are free from federal taxes. The USEP plan is also free from state taxes. This means that when distributions are made to pay for qualified expenses, there are no taxes due. Current Utah law also allows state residents to claim a tax credit based upon USEP donations. If distributions are not used for educational expenses, the earnings on your contributions are taxable and are also subject to a 10 percent penalty. A Roth IRA is another savings option that many families are considering for college expense planning. A Roth IRA was developed as a retirement savings program. Contributions to a Roth are not deductible, but earnings grow tax free. While contributions to a Roth IRA can be withdrawn anytime, withdrawals of earnings prior to age 59 1⁄2 are subject to taxes and penalties. That is, unless the funds are used for higher education purposes. This provision means that it is possible for families to use a Roth IRA for both retirement and college preparation. There are two other benefits of a Roth IRA. First, lower income tax filers may get a federal tax credit for contributions to a Roth IRA. Second, unlike an education savings account, retirement accounts like a Roth IRA are generally not considered when applying for financial aid. On the other hand, there are limits to annual Roth IRA contributions. If you use half of your retirement savings to send your kids to school, you may need to bank on them getting a good enough education and career to support you during retirement. Tax considerations are an important aspect, but not the only factor to consider. Risk levels, potential rates of return and the range of investment opportunities will be part of any strategy. The investor must determine how much or how little professional help they desire. do grandparents with lots of descendants have different challenges and opportunities than newlyweds expecting their first child. Which will it be? A Roth IRA, a 529 savings plan or some other option? Think about it now because the toddler munching Cheerios on your kitchen floor today will be off to college before you know it. Amanda is an Extension Assistant Professor for Utah State University. 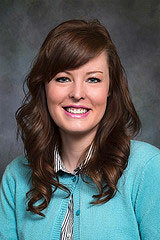 She has a master’s degree in consumer sciences from Utah State and is proud to call herself an Aggie! Amanda loves teaching and enabling individuals and families to make smart money decisions.